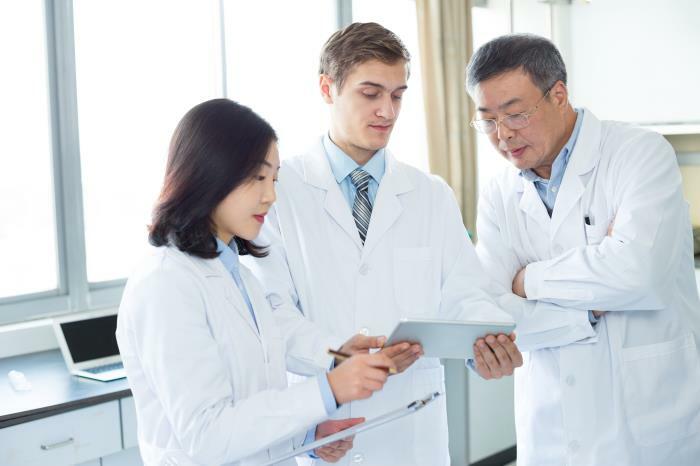 Can you outline Yuen Myng’s research and development process? Yuen Myng's facility is based in Tainan City, and from there the company has built up its reputation on a foundation of excellent communication between departments and ergonomic delivery to customers. The Development department works efficiently towards a deadline of approximately two months, involving clients every step of the way from concept creation to packaging production. Yuen Myng follows Good Manufacturing Practice guidelines with a rigorous approach, ensuring careful control, compliance, and consistency, and achievement of SA8000 certification only underlines this commendable business mindset. Following the definition of a packaging concept, the 3D Design Team works to bring its client’s vision to realisation, creating moulds which are in turn tested for functionality, before any modifications are made and the production process begins. Yuen Myng has been recognized for its expertise in injection blow mould tooling, upholding the company as the ideal supplier for the colour cosmetic packaging market. How does Yuen Myng incorporate testing processes into its manufacturing journey? Yuen Myng adopts a business attitude defined by strict control, and incessantly strives towards creating flawless products for its clients. A cyclical process of testing and revising is employed, and acute attention is paid to results of field evaluations. Yuen Myng’s investment in vacuum leak testing stands as just one example of this meticulous approach, ensuring that functionality of products is not jeopardised by cracks and faulty seals. Advanced technology has been seamlessly integrated into the production process in order to detect the presence of leaks and invasion of external air and contaminants, commonly culpable for the poor performance of a packaging part. Is the quality of Yuen Myng’s decoration tested with the same stringent approach? Yuen Myng’s decoration offerings, ranging from a glossy metallised finish to sophisticated silk screen printing, undoubtedly add brand value to a packaging product, and there is a lot of work involved to achieve a consistent level of excellency for each finished design. Packaging decoration is subjected to a series of solvent resistance rub tests, in which ethyl alcohol is used to determine the quality of a design printed onto a product part. The cross-cut tape test is similarly employed to ascertain the resistance of paints and coatings to separation from substrates, and packaging designs that perform poorly in this adhesion test are re-examined and revised. Have you received positive recognition from brands and customers as a result of your premium plastic packaging? Our packaging production is characterised by craftmanship, and consistent collaboration between the design and technical teams has enabled us to build a reputation for the company as a highly respected manufacturer within the cosmetic packaging industry. The wealth of packaging decoration options on offer has consolidated Yuen Myng’s leading market status, and consequently this has attracted the attention of international brands and trading companies. Customers appreciate our company's iconic designs, sleek and sophisticated packaging silhouettes, and glossy finishes, and our elegant lip-gloss packaging boasting a reduction in size has been particularly popular with brands. Our production team is marked with a brilliance maintained through strict quality control, and the achievement of ISO 9001 certification is recognition of this. How do you take into account feedback from your customers? Investment in the Research and Development department is the company’s distinguishing factor, and injecting effort into the collection of data over the years has fuelled a comprehensive understanding of consumer behaviour. Evaluation does not stop inside the laboratory. On the contrary, the conduction of field tests is viewed as a crucial process by our professional R&D team, and is just one step to ensure total consumer satisfaction with the final result. Yuen Myng adopts an impressive hands-on and proactive approach, taking advantage of the opportunity to get to know customers better at packaging events such as the Cosmoprof Worldwide Bologna and Cosmoprof Asia exhibitions. We listen to the demands of our clients with eager ears, and strive to respond positively to each request. Our acknowledgement of the modern-day millennial craving for personalised products is a prime example, therefore we offer OEM and ODM packaging solutions, tailoring each project to the individual needs of every client.